The wait is finally over as former Spice Girl Mel B has been named as the fourth judge for The X Factor 2014. She will take her place at the head table as a fully fledged judge for the first time after appearing as a guest judge back in 2012. 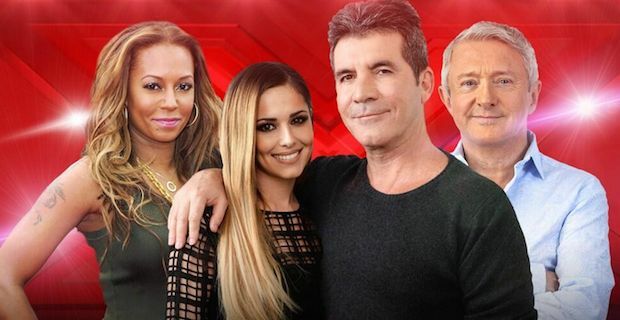 Mel B joins the ever present Louis Walsh along with returnees Cheryl Cole and Simon Cowell. The panel looks much stronger this season than last year's offering of Gary Barlow, Sharon Osbounre, Nicole Scherzinger and Walsh. Brown could not hide her personal delight at returning to the show saying "“I’m so excited to be joining The X Factor. I’ve always thought honesty is the best policy when being a judge and that’s what I’m going to bring more of this year.". Simon beamed at the announcement saying "I am thrilled that Mel B has agreed to be a judge on The X Factor. I thought she was fantastic as a guest judge a couple of years ago. She is feisty, opinionated and, I believe, will be a great mentor.". The show will once again be fronted by Dermot O'Leary and the gang are gearing up for the filming of next weeks auditions tour. The judges will visit Manchester, Newcastle, Edinburgh and London and Mel B will be thrown in at the deep end. She will be well able however, after appearing as a judge on America's Got Talent last year and she is pencilled in again for a follow up season on NBC.